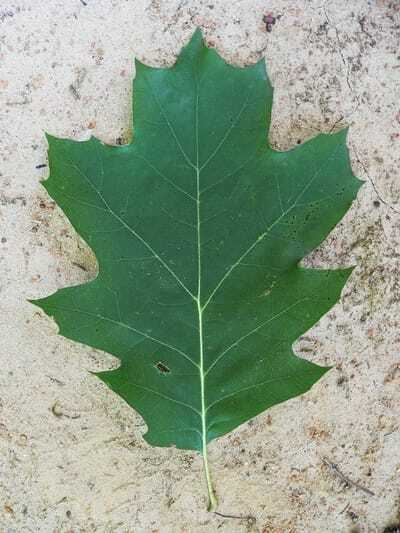 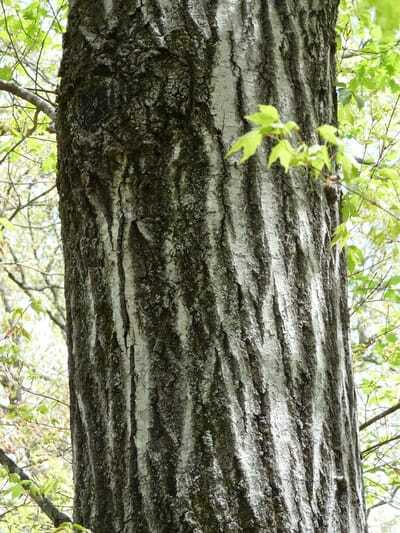 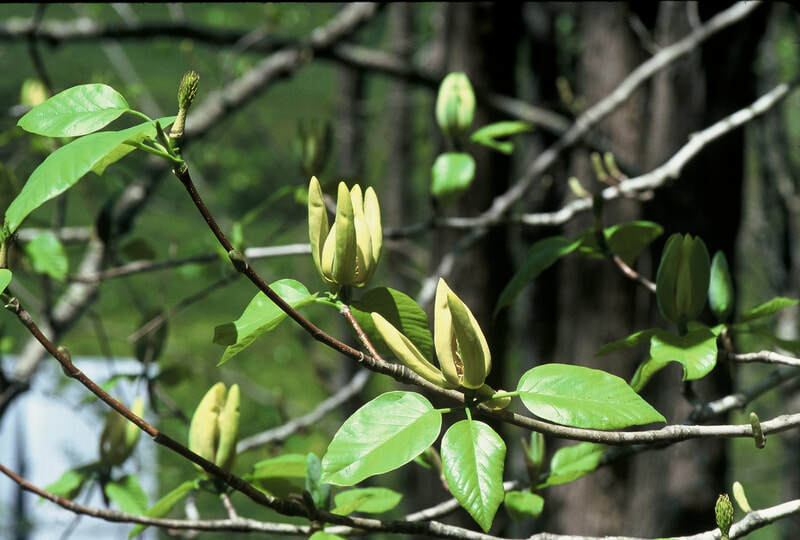 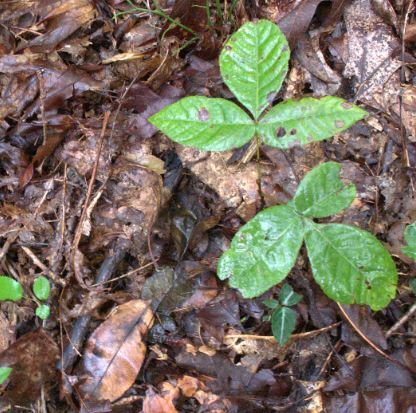 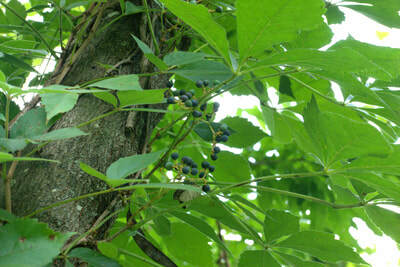 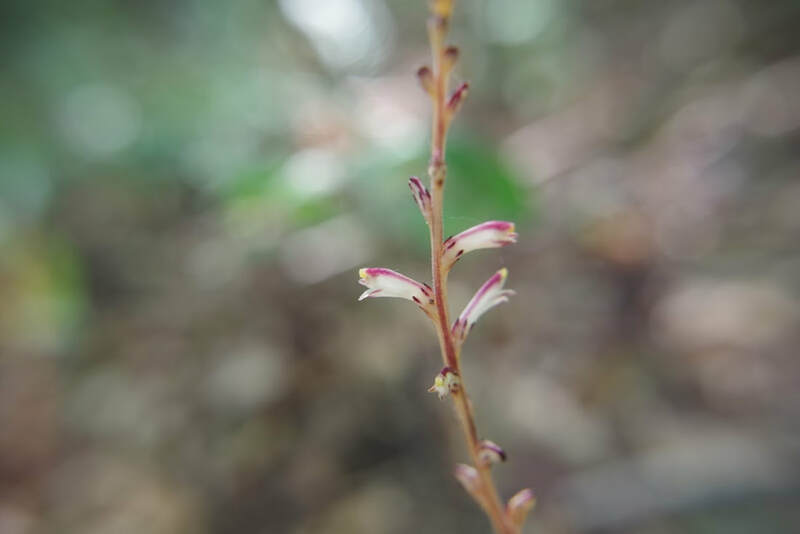 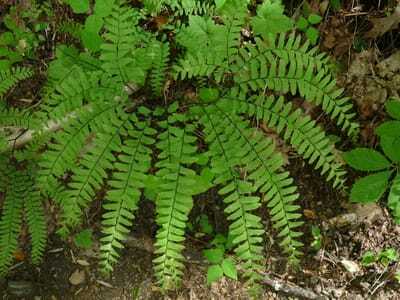 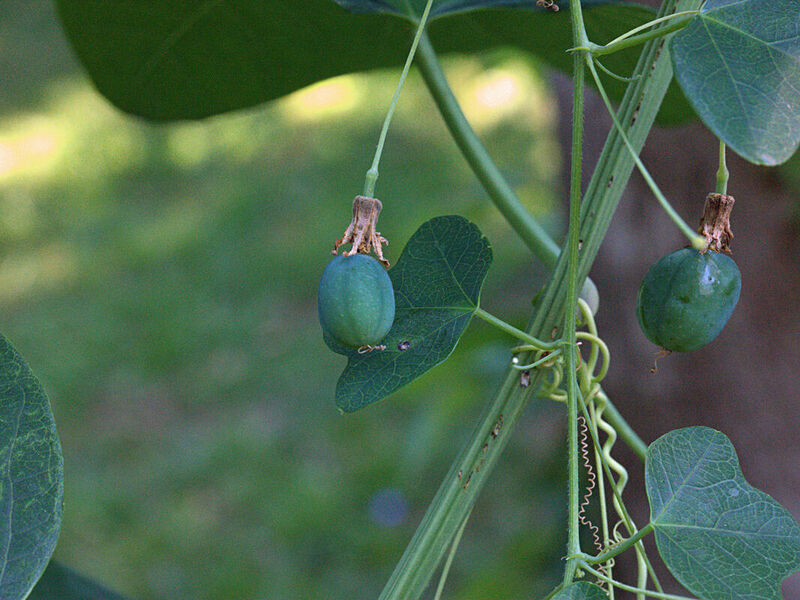 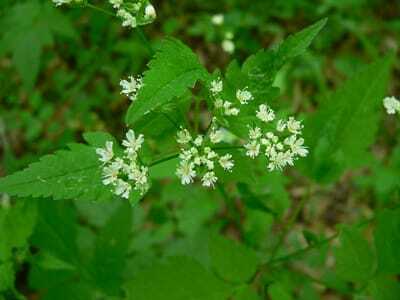 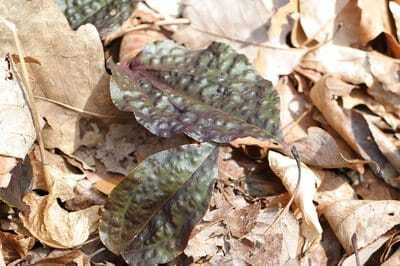 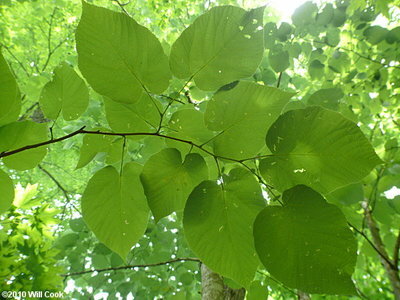 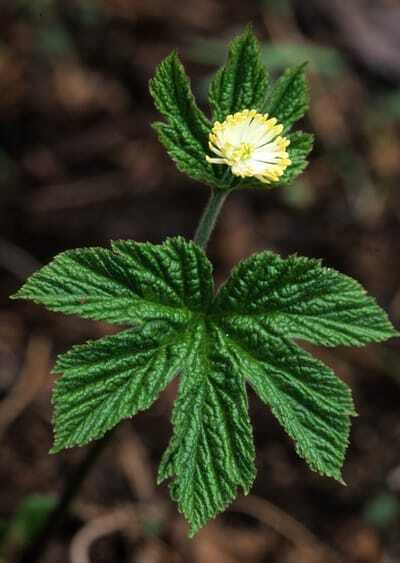 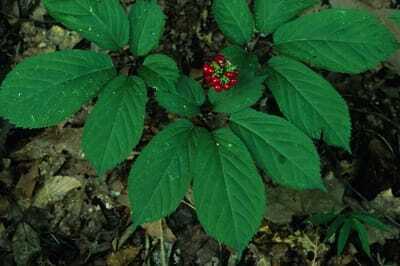 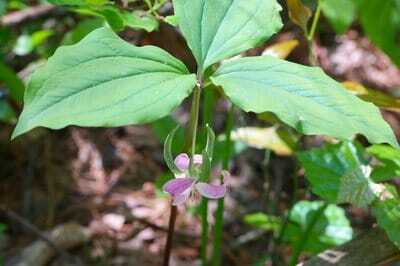 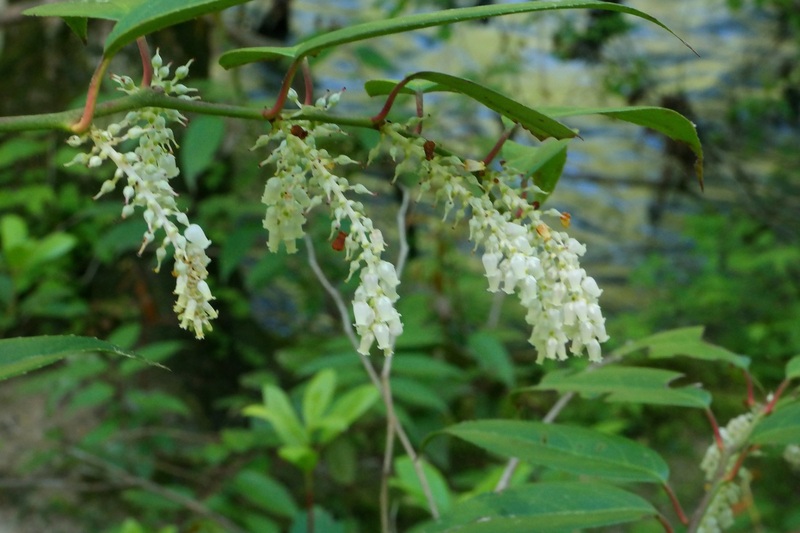 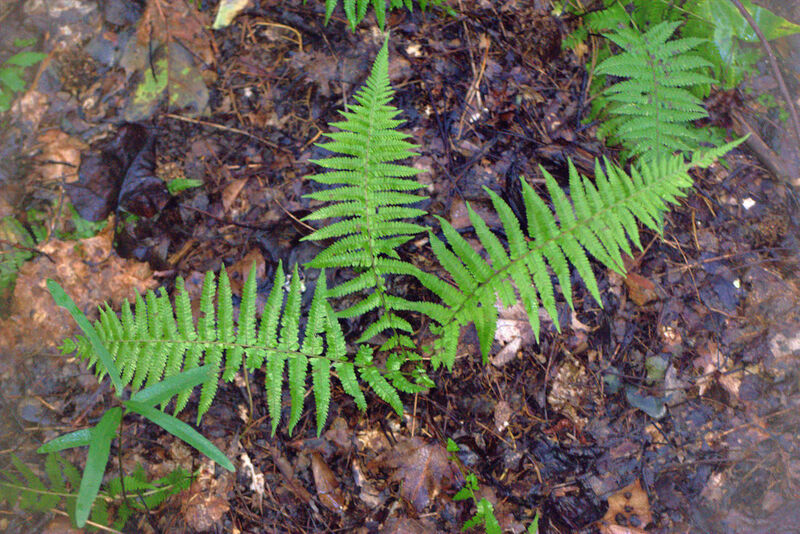 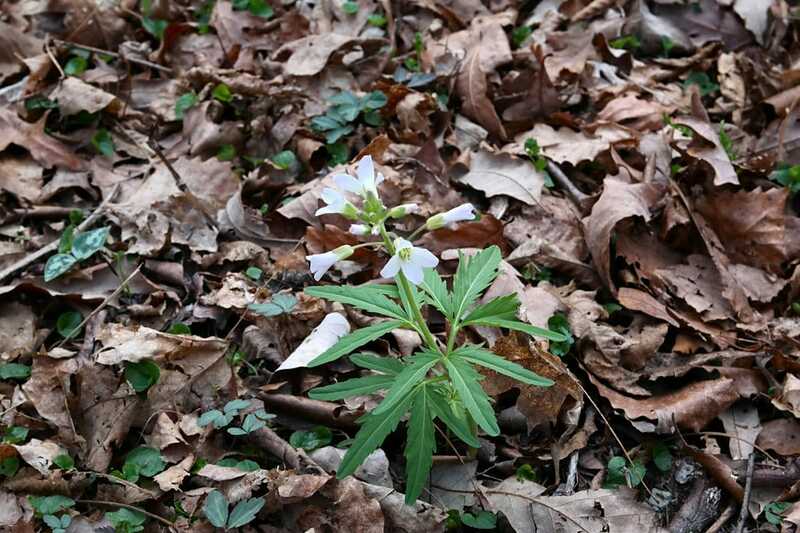 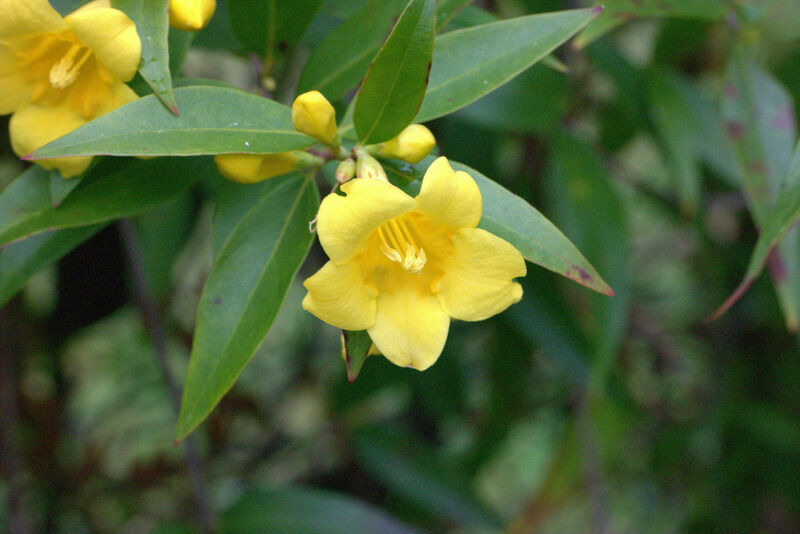 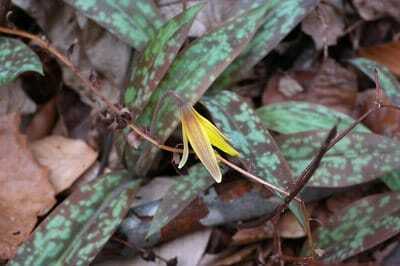 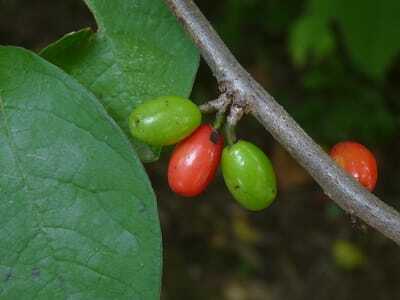 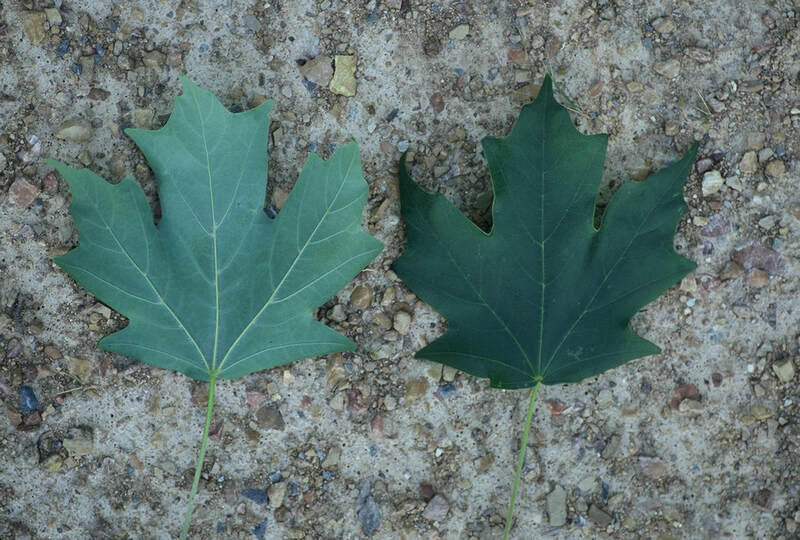 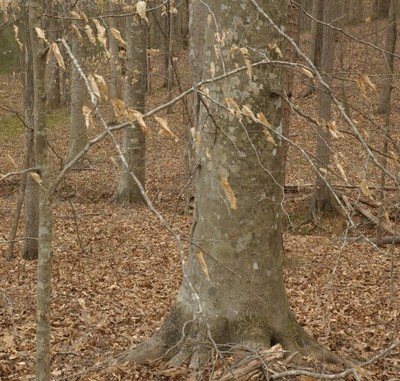 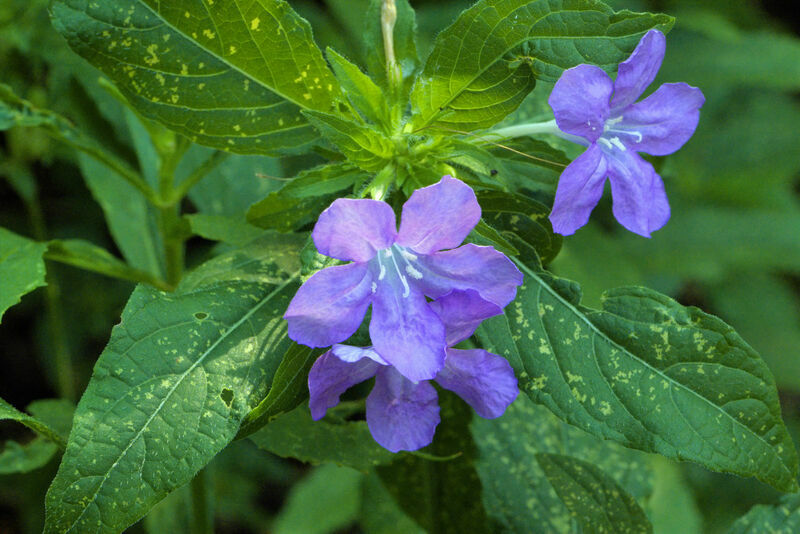 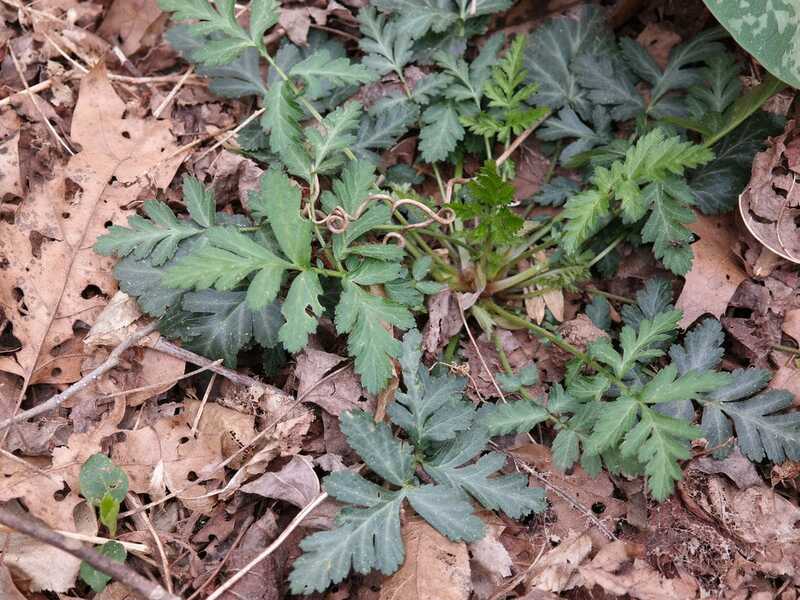 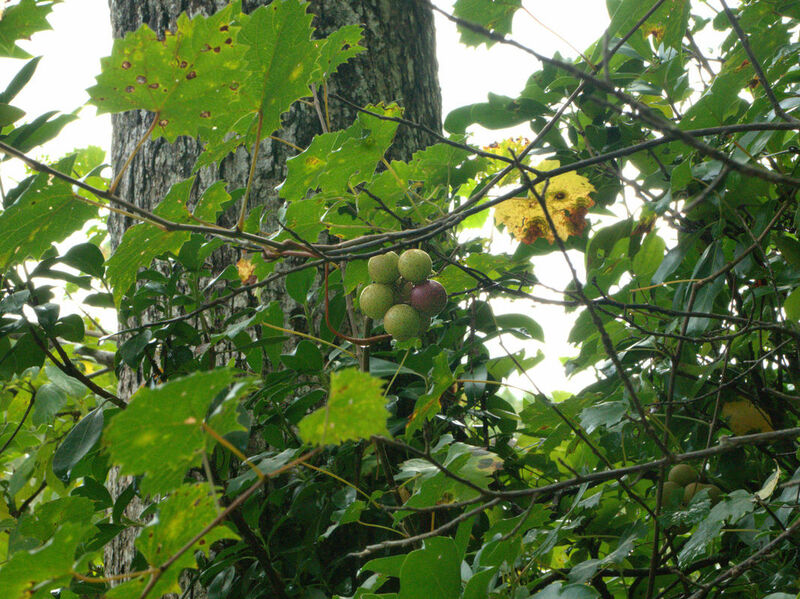 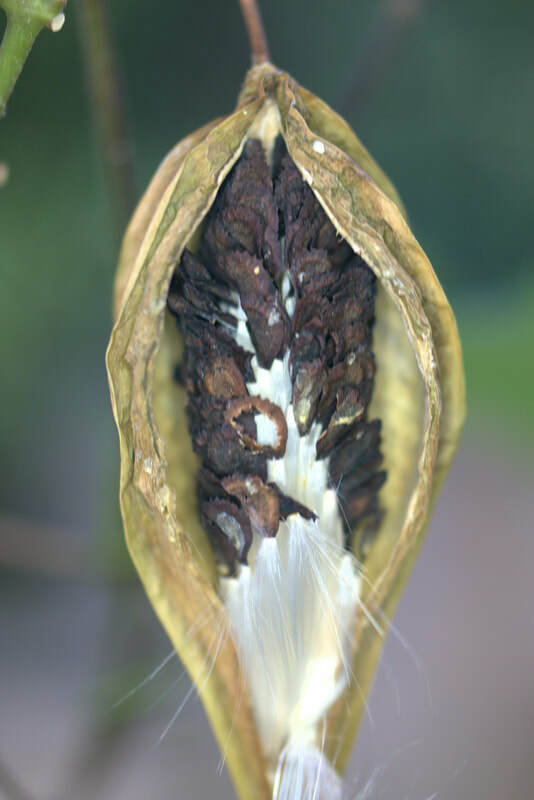 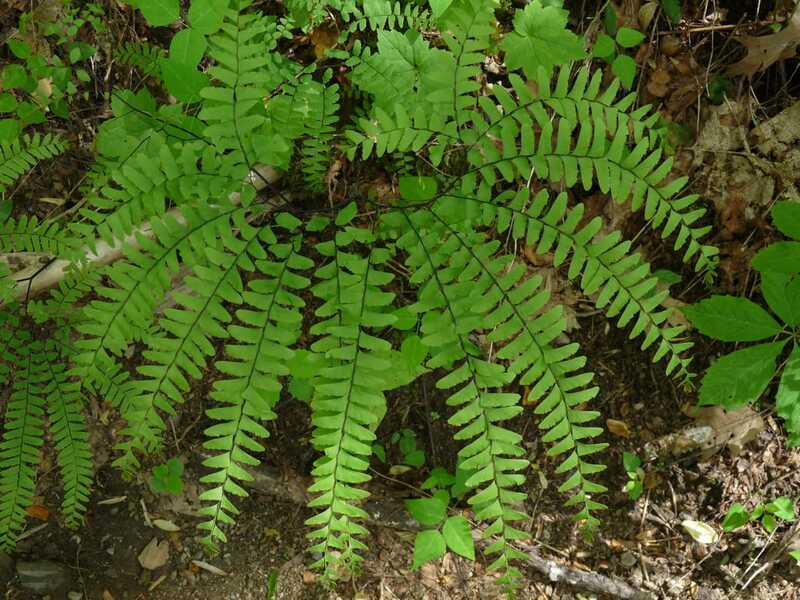 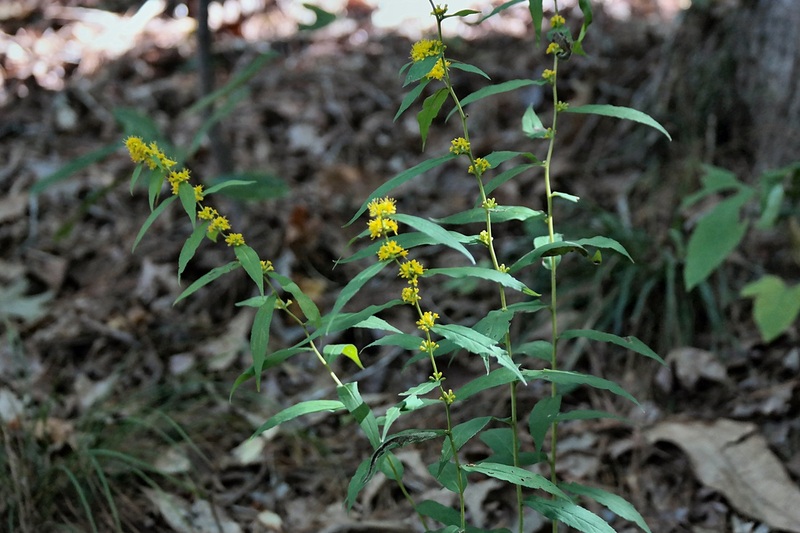 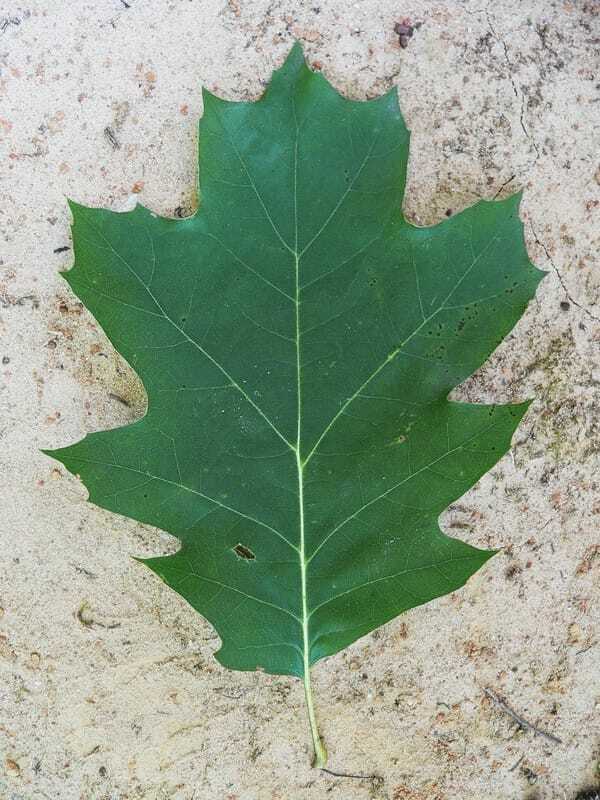 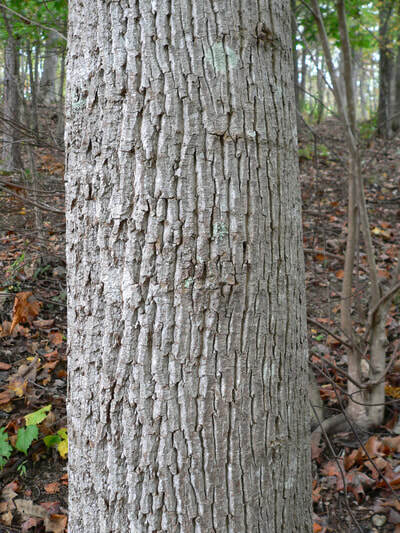 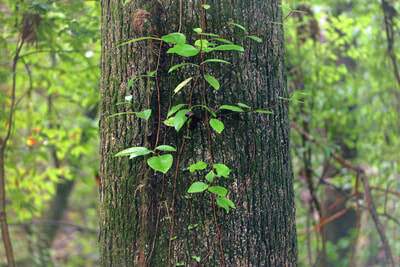 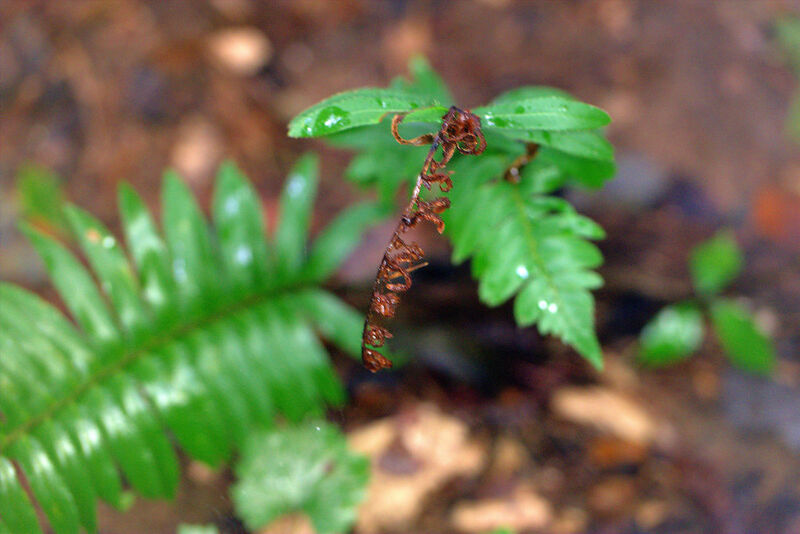 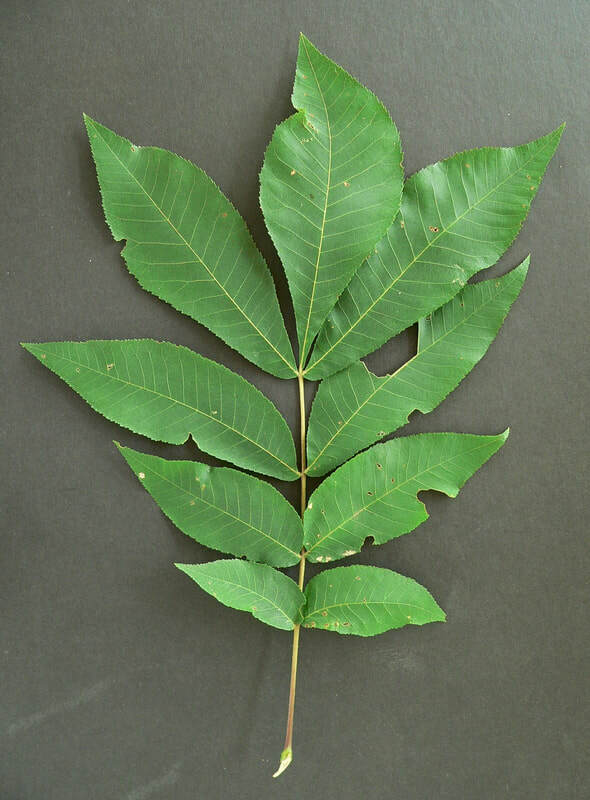 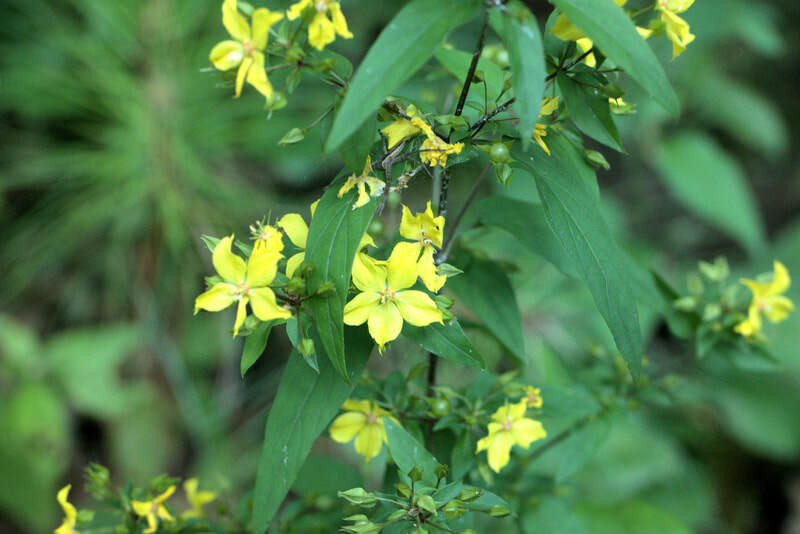 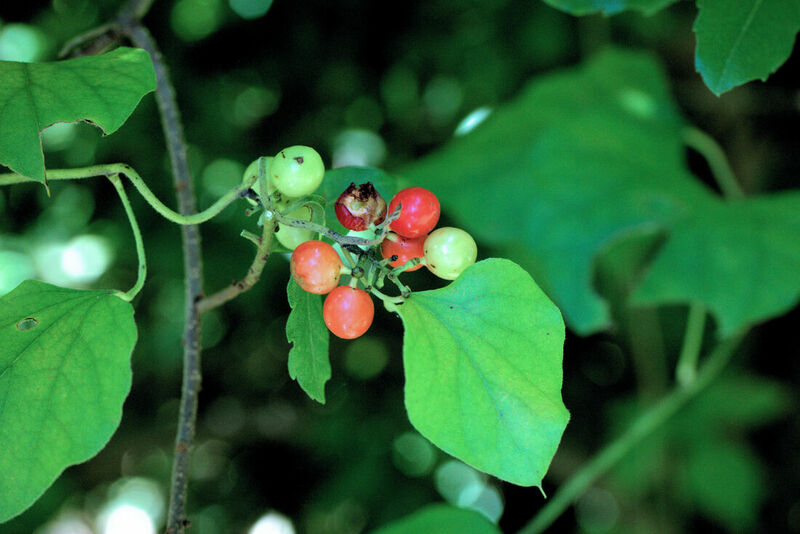 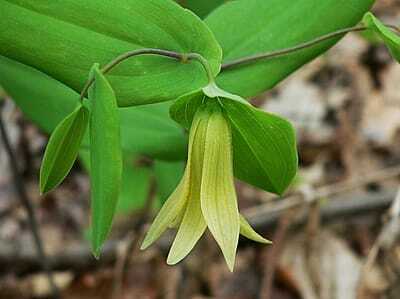 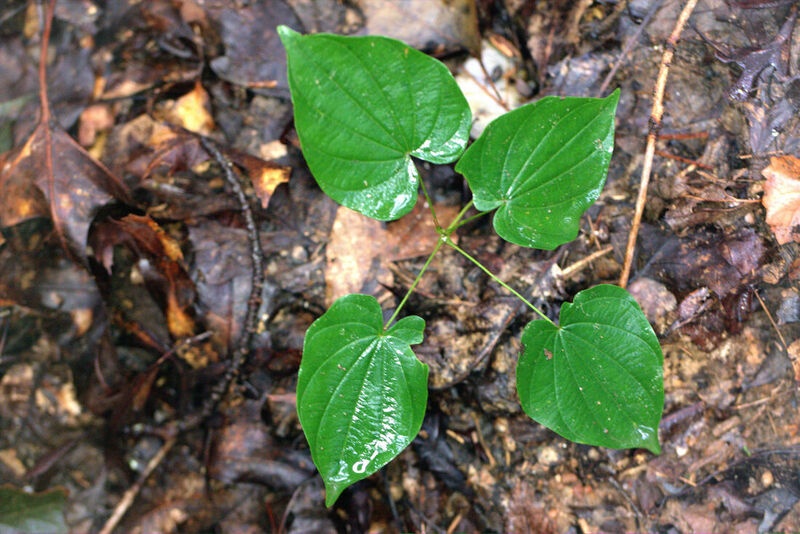 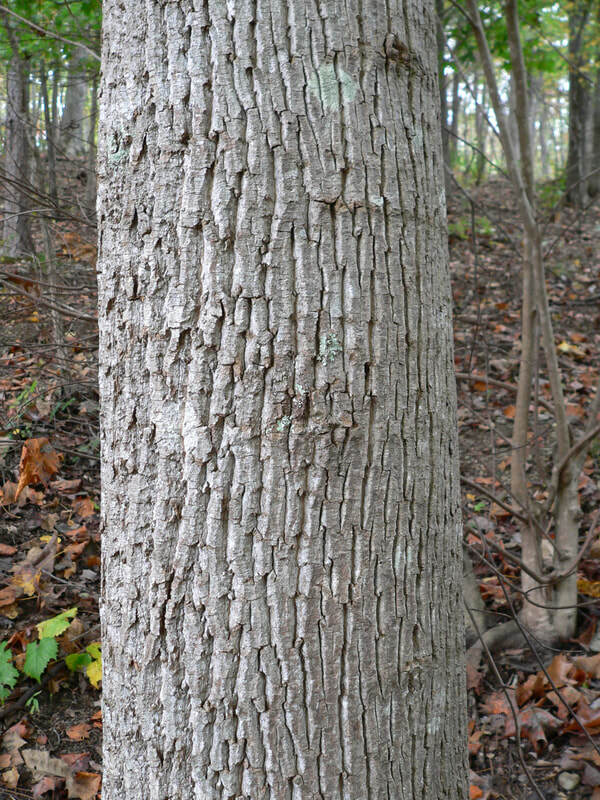 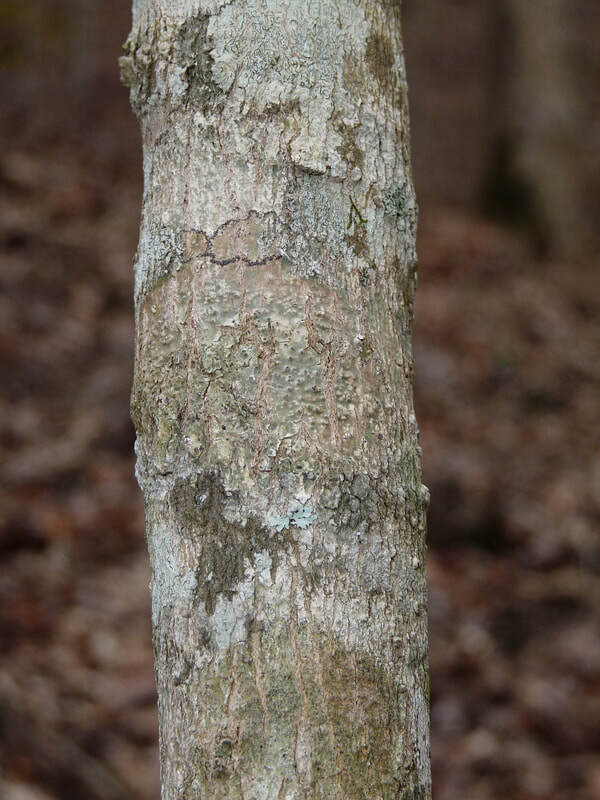 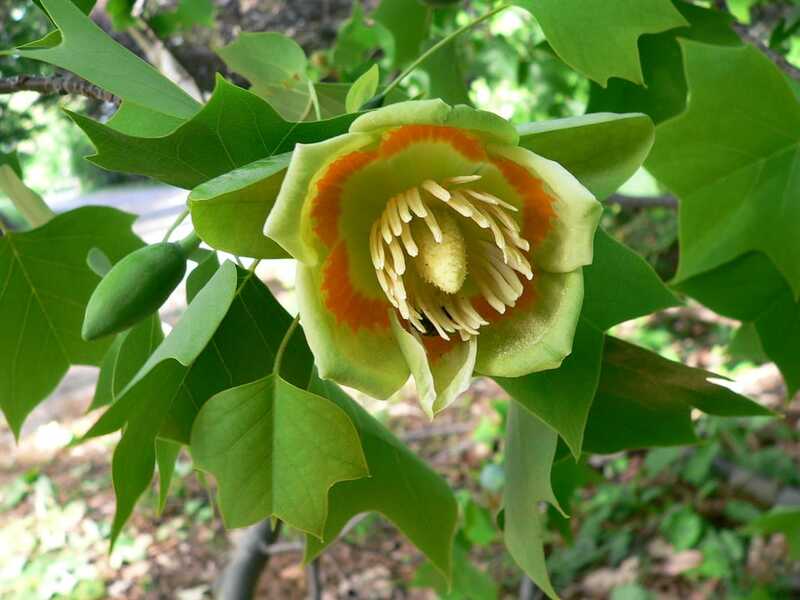 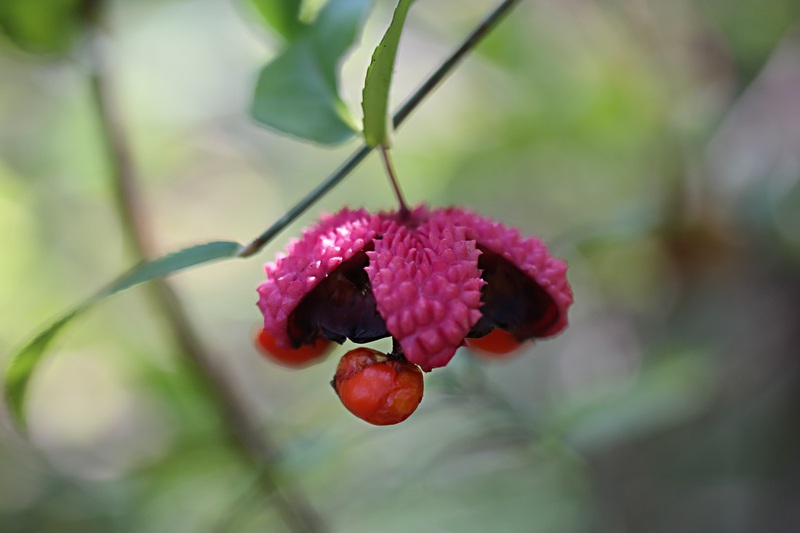 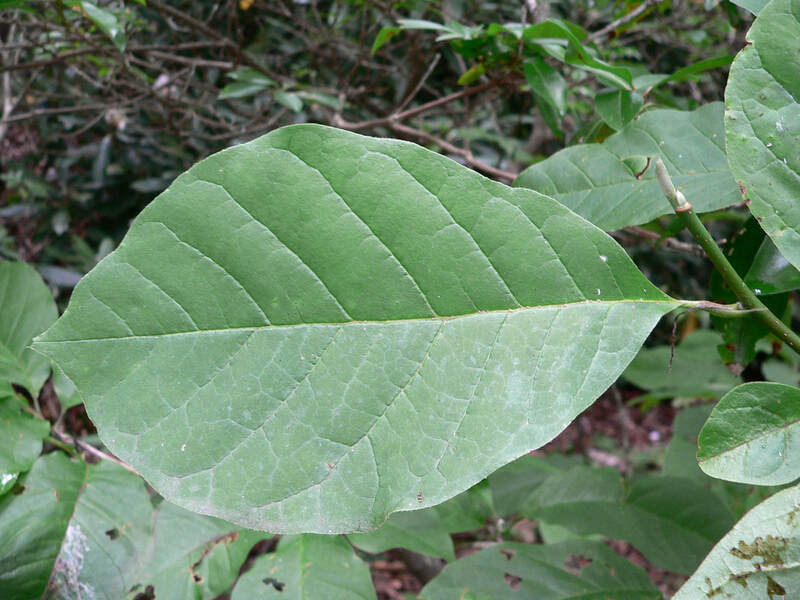 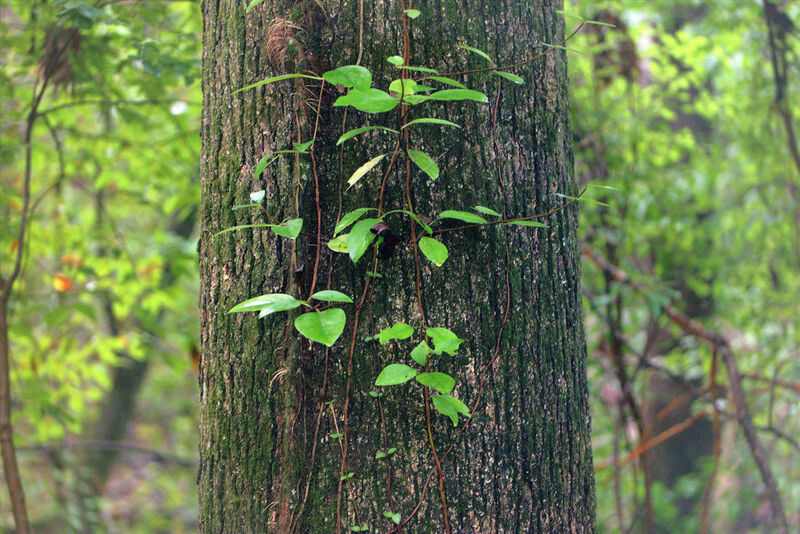 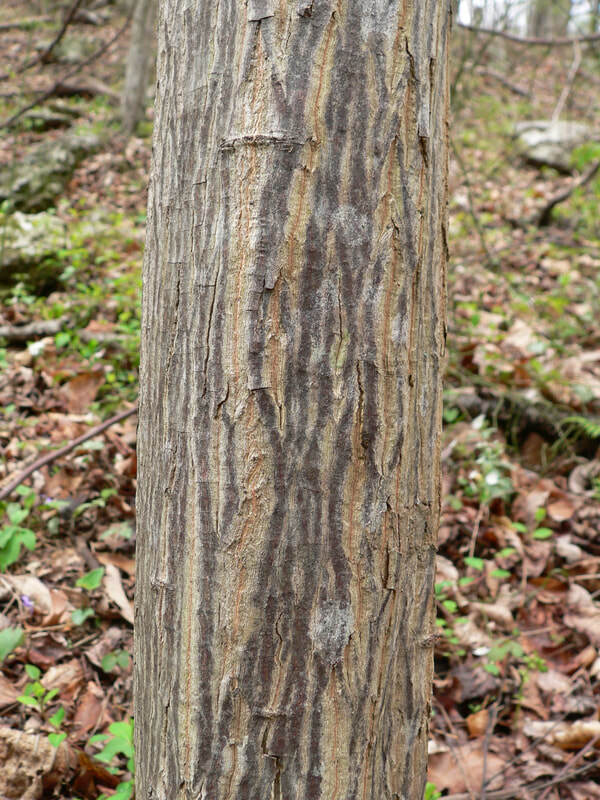 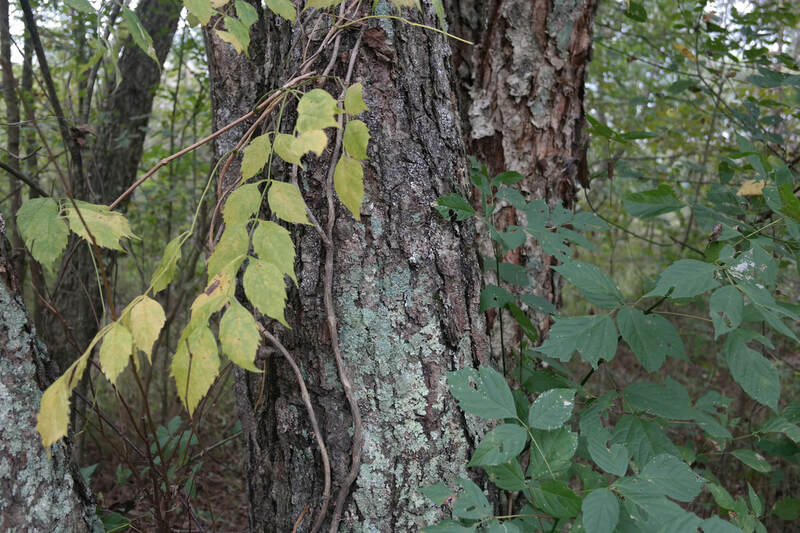 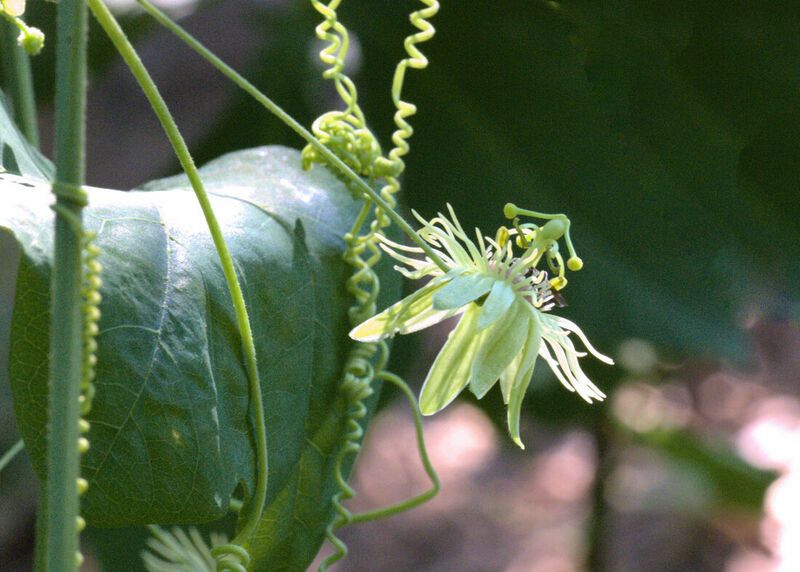 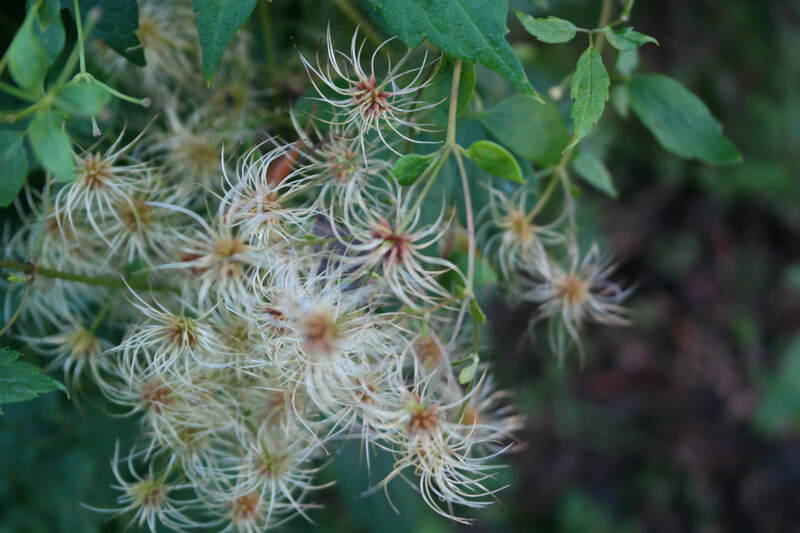 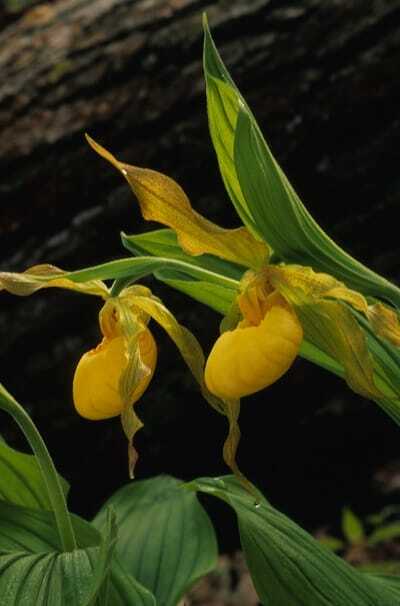 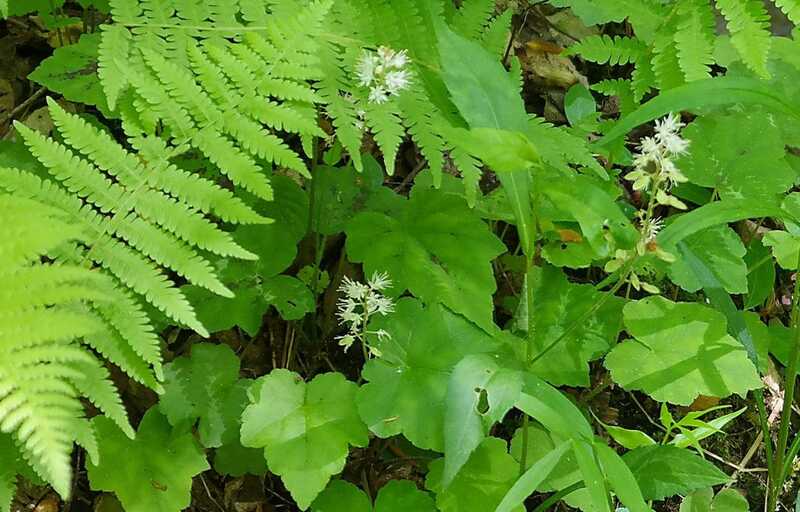 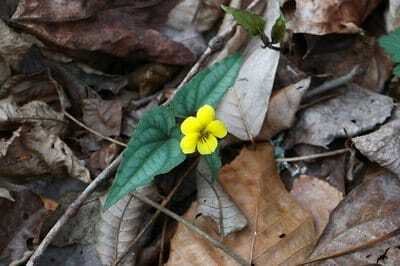 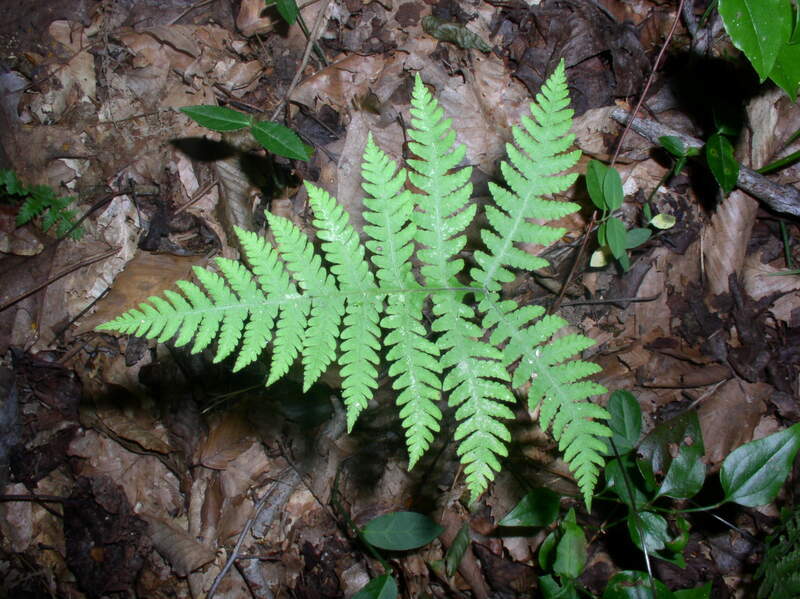 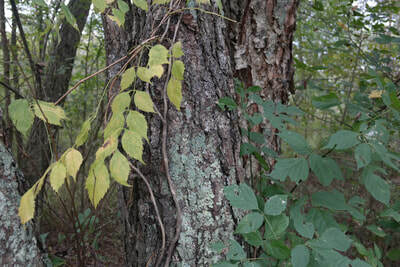 ​Learn MORE HERE about plant adaptations in deciduous forests. 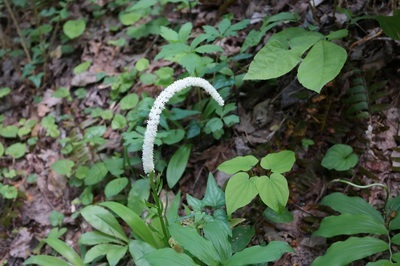 These are moist forests that grow in cool, shaded sites such as low on steep north-facing slopes, within deep ravines, and on terraces by streams beyond the bottomlands. 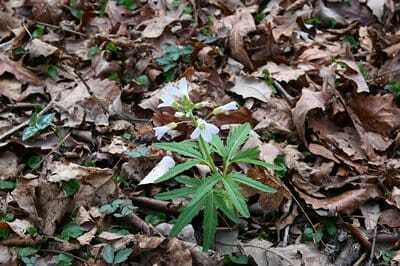 Often soils are rich with organic material and nutrients that have collected in these low sites. 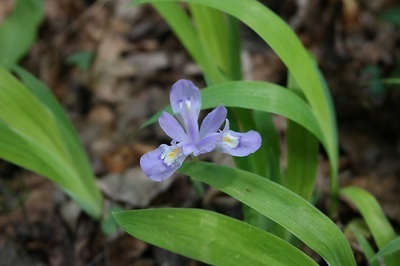 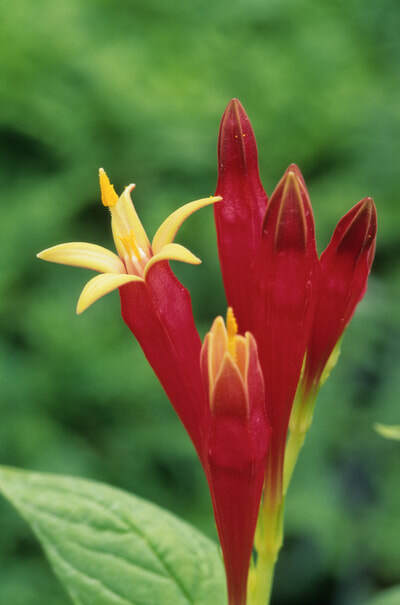 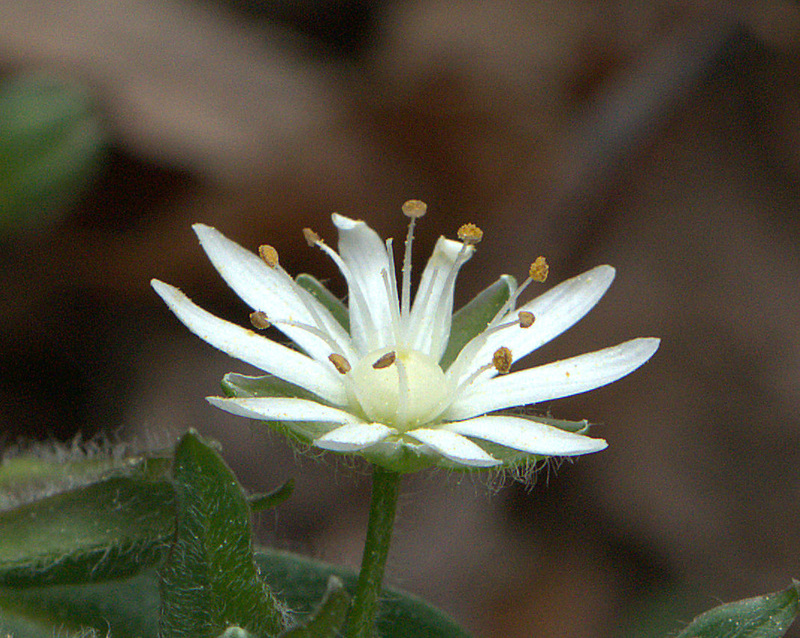 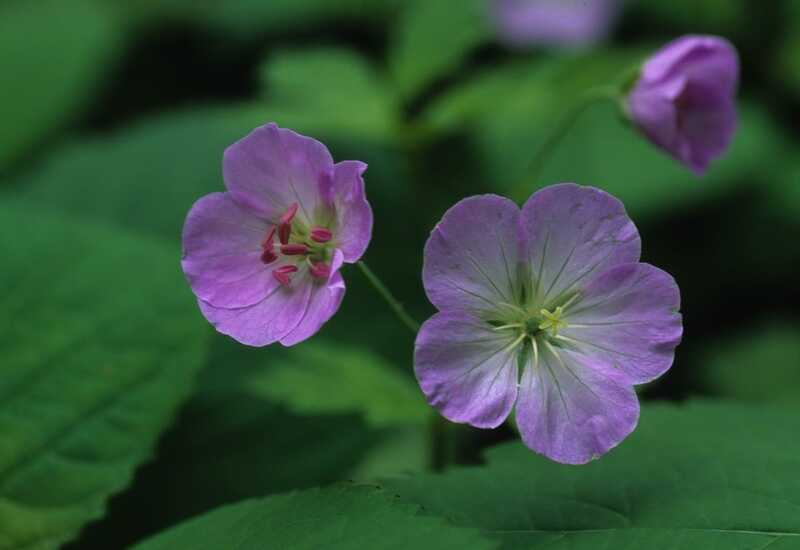 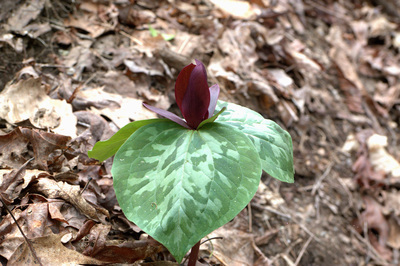 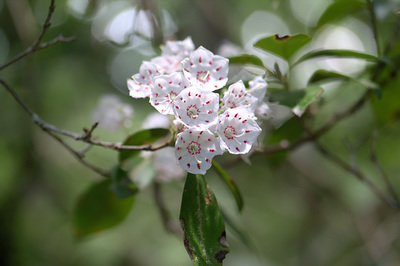 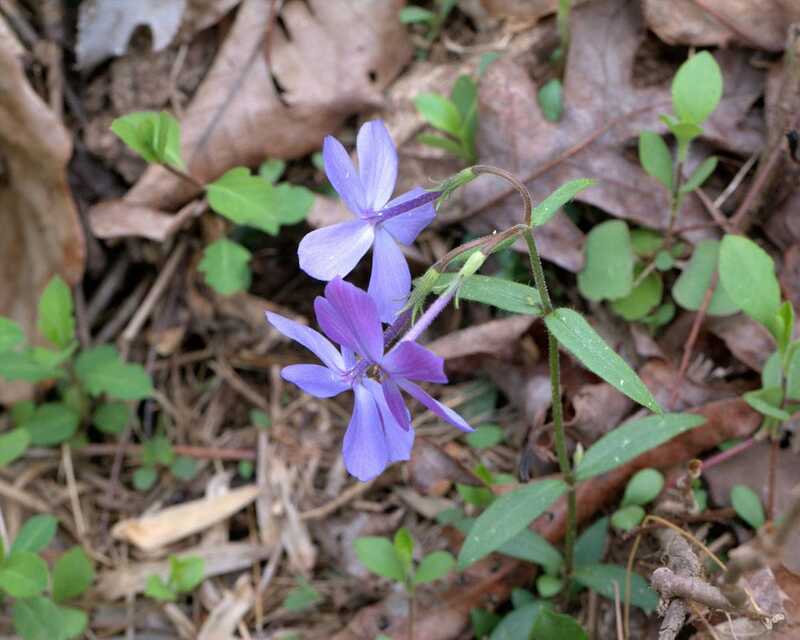 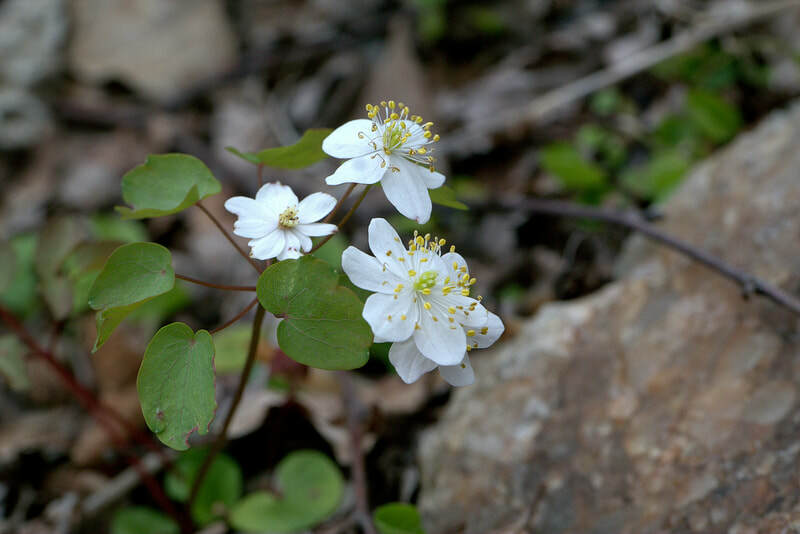 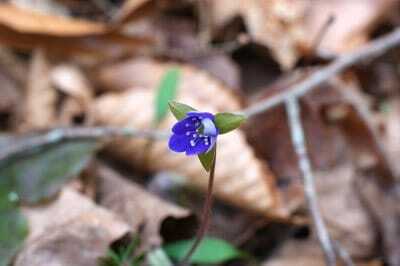 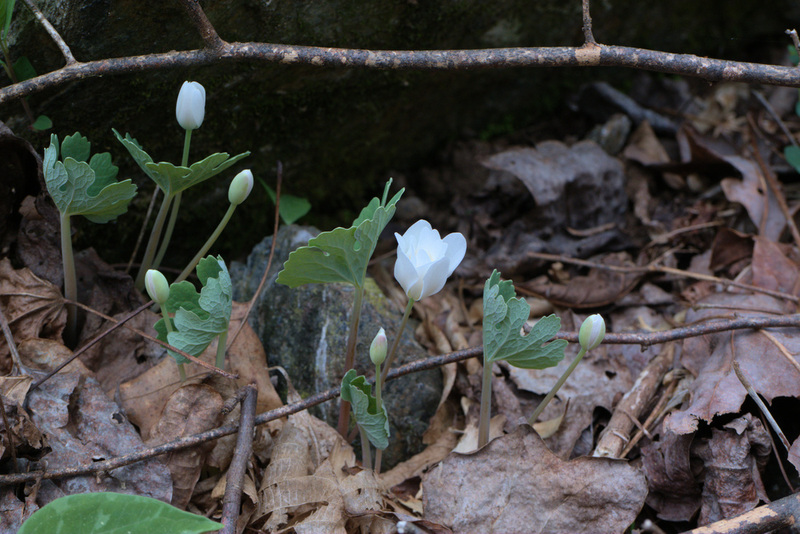 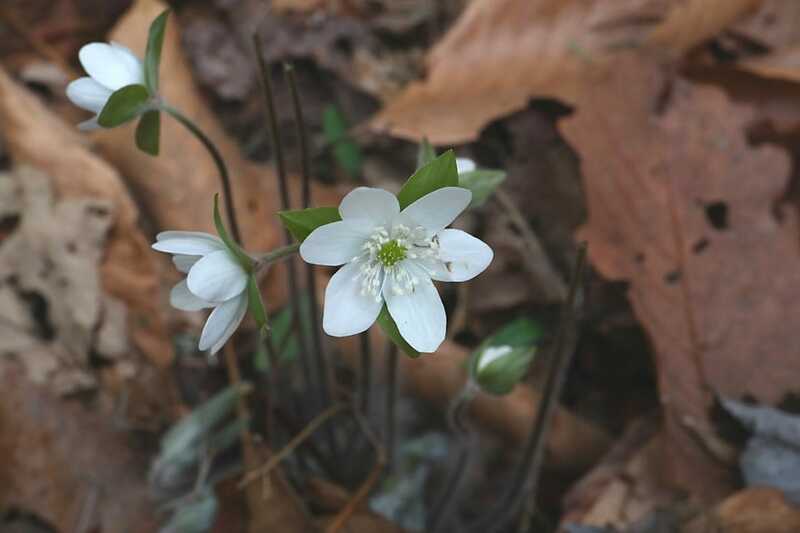 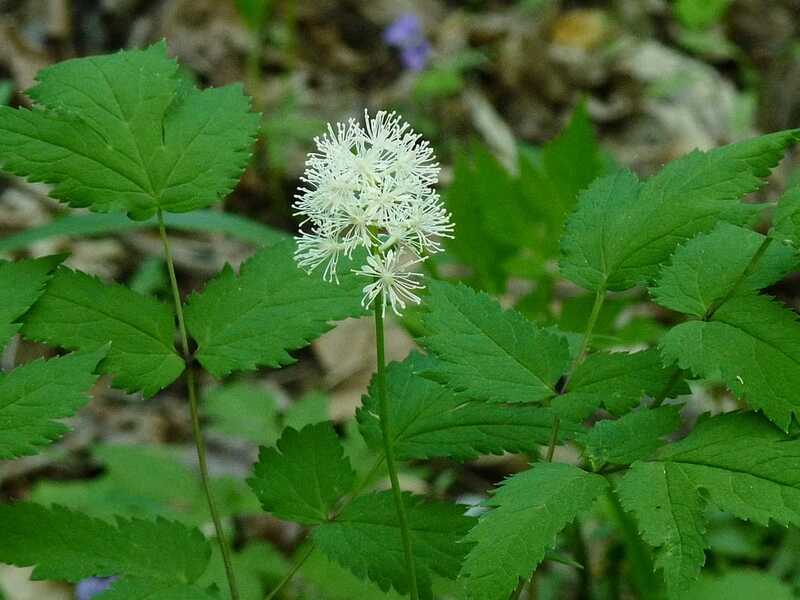 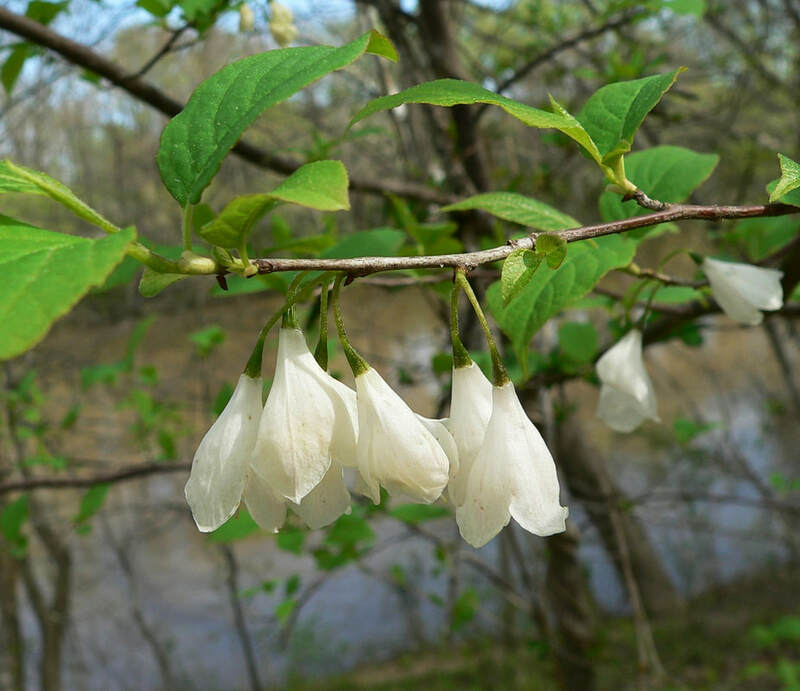 What's special: These forests often have stunning wildflower displays in the spring before the trees leaf out. 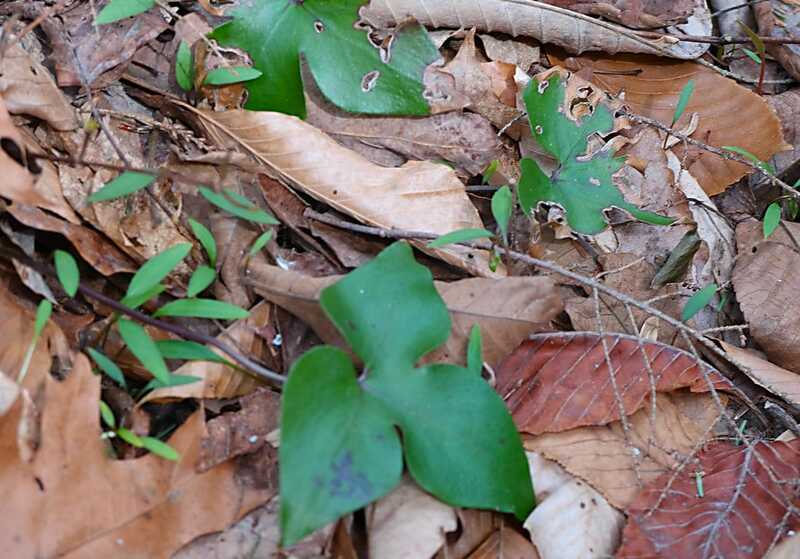 The cooler temperatures, along with the moisture and nutrients that collect here enable a diversity of plants to grow, and support a rich animal life including many amphibians. 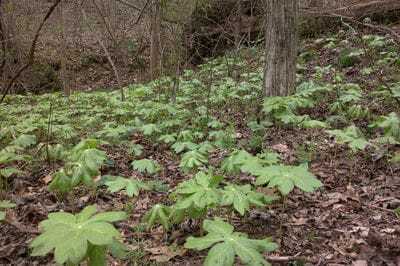 The tree canopy and the ground cover are often lush. 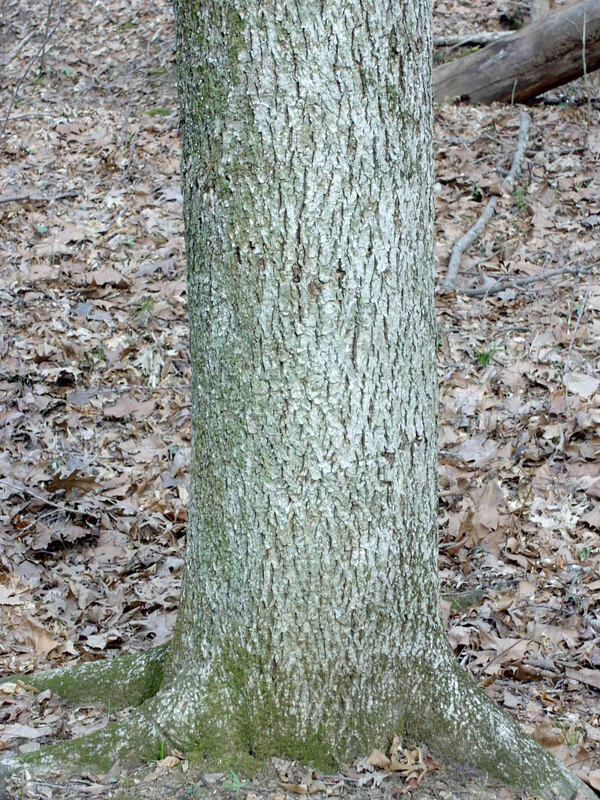 Related Communities: These forests grade into Bottomlands near streams, and into Oak-Pine-Hickory Forests uphill and on south, east, and west exposures. 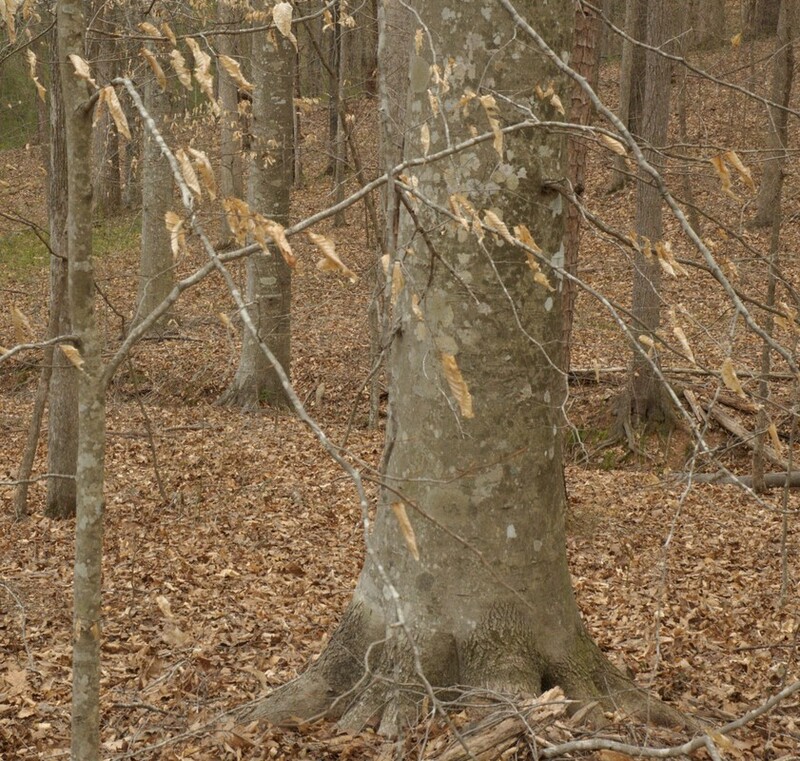 Representative Trees in order of scientific name. 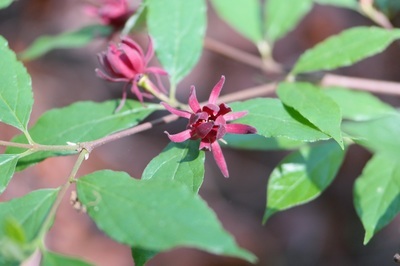 Sweet-shrub (Calycanthus florida) in flower. 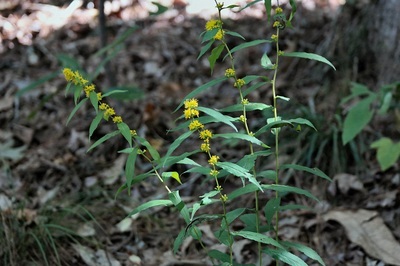 Representative wildflowers in order of scientific name. 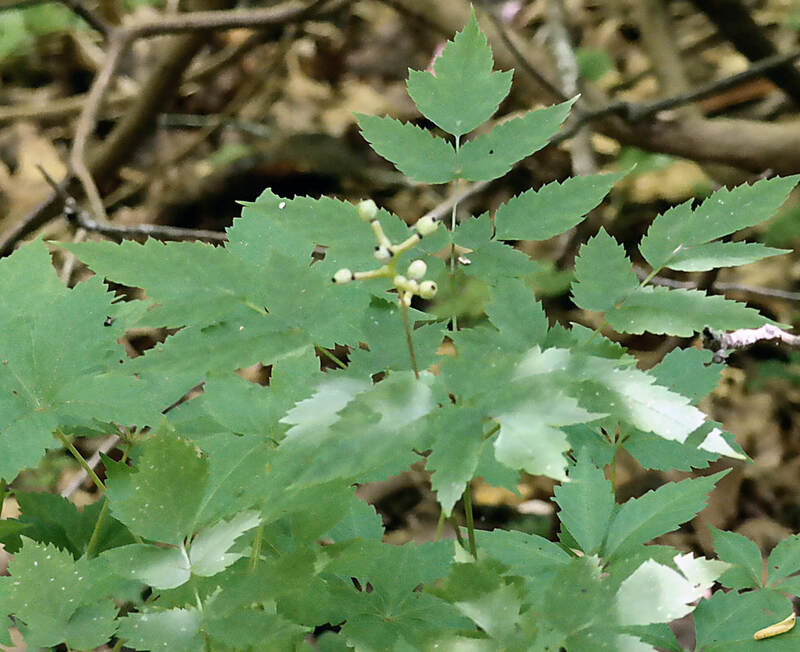 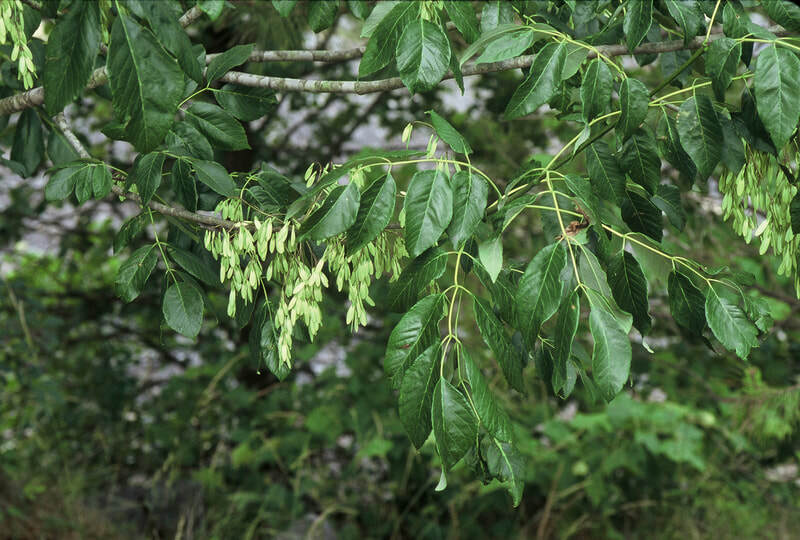 Beechdrops (Epifagus virginiana) are annual plants that are parasitic upon beech trees. by Irenee Payne.